Road leading up to San Antonio Falls, Baldy Bowl Trail, and Baldy Notch from Manker Flats. Note: The Baldy Bowl trail starts close to a mile up the road from the parking lot which passes San Antonio Falls along the way. Stats: 8.4 miles, 3904′ gain. 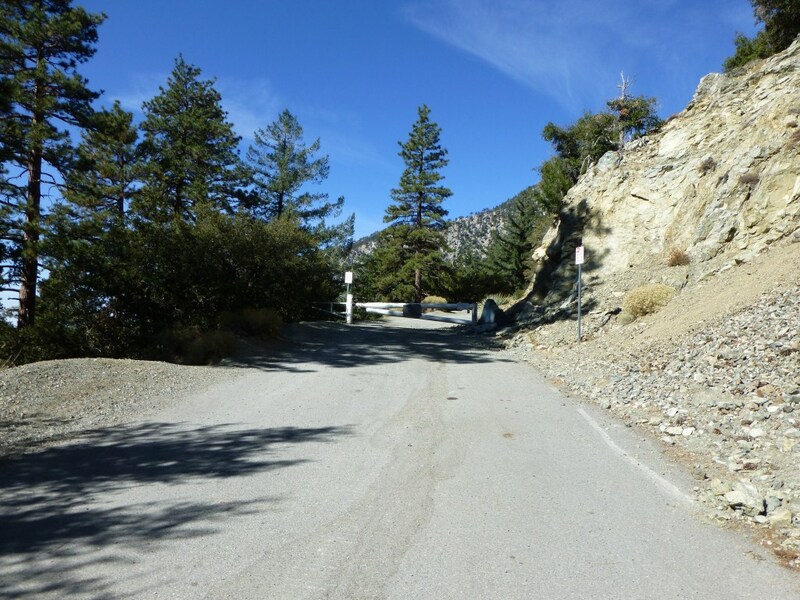 Segments: From the Manker Flats parking area, take the paved road 0.9 miles up to the junction with the Baldy Bowl Trail. Turn left and follow the Baldy Bowl Trail to Mt. Baldy.